Have you ever had one of those days where you’re driving along, battling traffic, trying to let Kelly Clarkson lull you away from outright rage… and it’s totally not working… and you’re about 4.7 seconds away from deliberately smashing your car into the Porsche in front of you? You’ve probably never had one of those days. You’re a better human than me. If you are familiar with these sorts of days, the solution would look something like this: abruptly pull your car over into a shopping mall, buy yourself a cheap maxi dress, change into new dress in the car, walk to a drugstore, paint your nails in the cosmetic section, purchase a package of Peanut Butter M&Ms and a purple juice for a homeless dude, walk back to your car, put on fresh lipstick, and carry on. Can this be the only traffic jam I encounter for a bit? 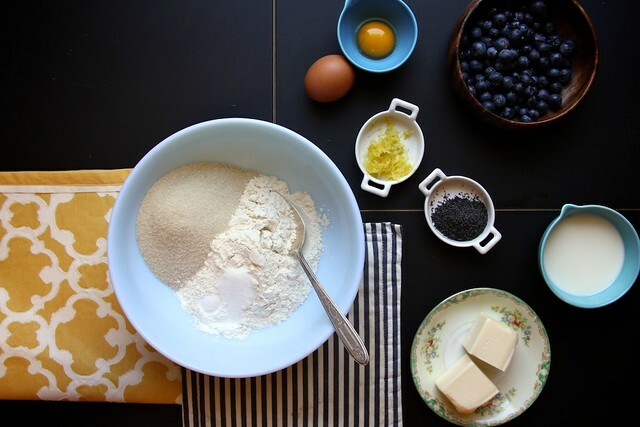 A cluster of lemon, poppy seeds, and blueberries… less Porsche, more butter. These muffins are full of everything I ever want (except meatballs and chocolate). Browned butter, citrus, summer fruit, and sugar! I have love in my heart. I also try to put a crumble topping on just about everything (except cheeseburgers). 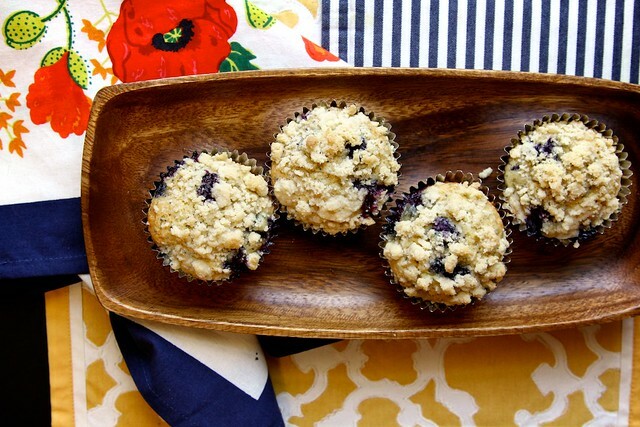 These muffins feel like weekend brunch wonders! 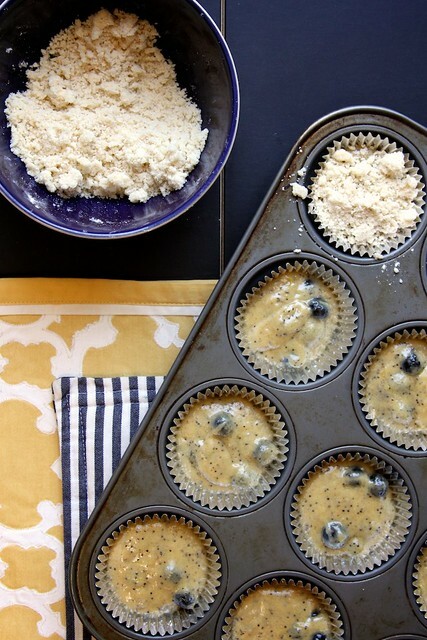 They’re a perfect mixture of Blueberry Muffins, and Lemon Poppy Seed Muffins. Smash bang! I also love to make these during the weekend, and freeze any leftover muffins for weekday morning treats. Place a rack in the upper third of the oven and preheat oven to 375 degrees F. Line a muffins pan with paper or foil liners, set aside. To make the muffins: Melt butter in a small saucepan over medium heat. Keep an eye on the butter. It will melt, froth, and begin to crackle. That’s the water cooking out of the butter. The crackling will subside and butter will begin to brown fairly quickly. Remove from heat when butter solids become a medium brown color and butter smells slightly nutty. Immediately pour hot butter into a small bowl, or the butter will continue to cook in the hot pan. Allow to cool slightly. In a medium bowl, whisk together milk, egg, yolk, and vanilla until combined. Add browned butter and whisk to combine. Whisk together flour, sugar, baking powder, and salt in a medium bowl. Add milk mixture all at once to the flour mixture and stir gently to combine. 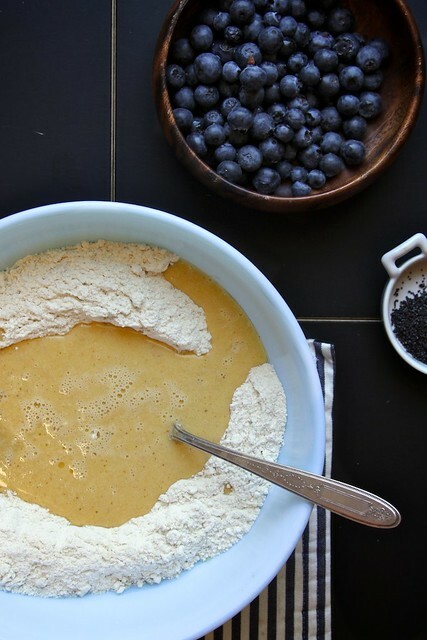 Gently but thoroughly fold in the lemon zest, poppy seeds, and blueberries. 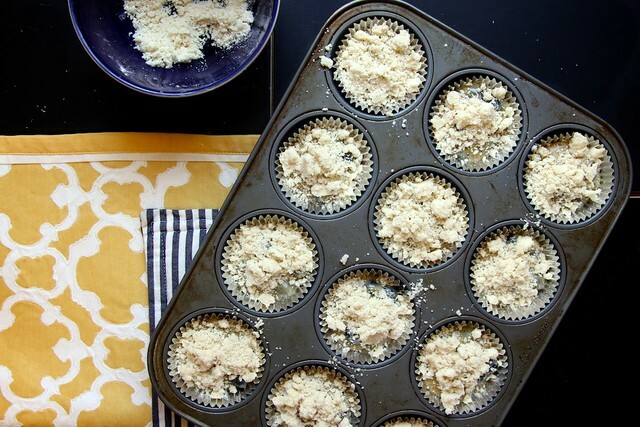 Divide batter among prepared muffin cups. To make the topping: Combine all ingredients in a bowl and rub together with clean fingertips until crumbly. Sprinkle topping evenly over the muffin batter in cups. Bake muffins 18 to 20 minutes until golden and crisp and a skewer inserted into the center of a muffin comes out clean. Cool muffins in the pan for 15 minutes before removing. Serve warm or at room temperature. Muffins will last, at room temperature in an airtight container, for up to 3 days. I like them best the day they are made. Previous Post: « Brown Sugar: Pack It! Yummy, Great way to get over a traffic jam or a bad day. I looove those crumbles on top, especially with those summer fruits …….. HEAVEN!!!!! I LOVE that you try and put a crumble topping on just about everything. You are a woman after my own heart. I could use a whole batch of your muffins right about now… it’s been a long week. 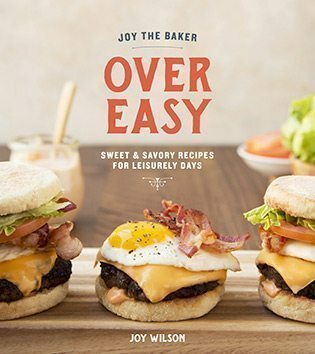 after reading this I feel like maybe cheeseburgers with a crumble topping actually could work? question mark? Of course a crumble would work! A crumble of blue cheese! Even without a car or traffic, I have plenty of those days. They usually end with a glass of wine and ice cream. Muffins are good too though. I love your solution to a traffic jam! Brilliant! Usually, I just yell and scream and melt down in the car. You’re much more productive. Can’t wait to try the muffins. Just what I need for the weekend! My yoga teacher told me that in those occasions you should start breathing slowly and having compassionate thoughts about yourself and the others…I guess I’m not a good yogi because that does not work for me at all. Like yourself I’d rather rush into a mall and start a useless shopping spree. That helps me vent! I make up stories about the drivers in the cars around me when I’m in traffic, and try to work out which stations people are singing along to. I need this muffins immediately, if not sooner. 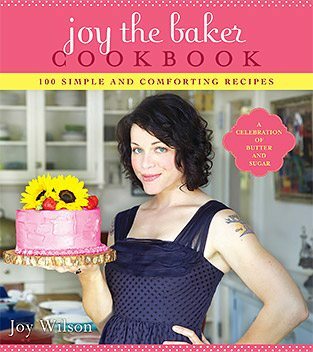 Hey Joy I’m with you on the frustration front – I suffer from SAHM resentment! But you know what, baking is totally the cure! I have an exhibitionist 3 year old who won’t put any clothes on and a 5 year old that’s too cool to do what he’s told – solution: I’m gonna bake some bread, then some individual tarts for dessert (hey it’s friday) and my sister is going to India for a couple months tomorrow so I’m gonna bake a cake – thinking your big berry (not) birthday cake! Then when the kitchen is cleaned up, I’m gonna move to stage 2 of the ‘rage control’ process – eating! LOL… I said “porches” instead of “Porsches”. I clearly need some lemon muffins in my life right about now. I want to make this muffins, like, right now. I’m also in need of some lemony cheering up. PS: Traffic jams and Porches are prefect excuses to get a new maxi. I second that.